Are you an auto dealer based in Louisiana? Then it’s a good time to start thinking about your Louisiana car dealer license renewal. This will save you from the trouble of last-minute applications, additional fees, and lost business because of delays. Just like every year, the deadline for the renewal is December 31st. If you have not applied by December 31st, you will not be able to get a renewal at all. Don’t forget that you also need to get a new Louisiana auto dealer bond to ensure your compliance with state regulations. To help you out in the renewal process, here’s a concise guide with information about the license and bond renewal procedures. Getting your license renewal in Louisiana is a bit complicated. Unlike other states, in Louisiana, you can submit your application only by mail and not online. You need to contact the Louisiana Motor Vehicle Commission directly to request an application form. Afterwards, you have to send the completed application by mail, along with the renewal fee, which is $400 per location. Renewing your salesperson license follows a different procedure. You can complete the online application, but you will still have to send it by mail to the Commission. The renewal fee for salespersons is $75 and should be submitted along with the completed application form. Keep in mind that you need to get a renewal of your Louisiana motor vehicle dealer bond too. Without it, you won’t be able to continue operating legally as a dealer. 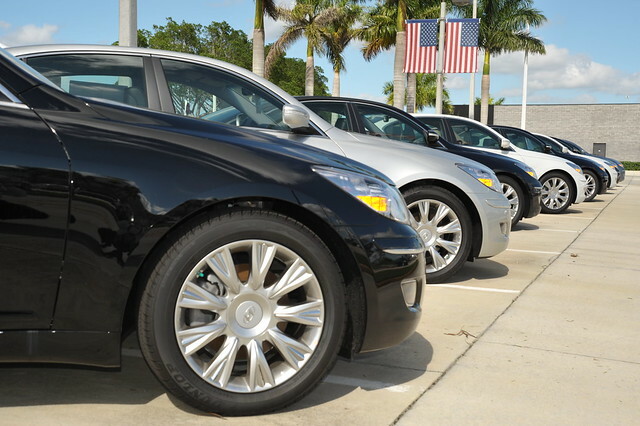 In 2016, the bond amount for used-car dealers was increased to $50,000, so keep that in mind. Previously, it was $25,000 or $35,000 depending on the number of vehicles sold, but now it’s $50,000 for everyone. While the bonding process can be a tiring and complicated one, there are ways to make it easier. Bryant Surety Bonds is committed to delivering an easier process for dealers and offers great bonding rates to help you save money as well. How do we do that? We foster strong relationships with more than 20 T-listed, A-rated bond companies. This gives us great flexibility to offer lower bonding rates to our clients. We even have a Bad Credit Program for higher risk cases. To get your free quote today, apply online or call us today at (866) 450-3412. We’re happy to help!